George Henry Bassett produced 7 Irish county directories in the 1880s: Antrim, Armagh, Down, Kilkenny, Louth, Tipperary and Wexford. Each provides useful history of the respective counties as well as lists of office holders, farmers, traders, and other residents of the individual cities, towns and villages. The directories are naturally an invaluable resource for those tracing family history. 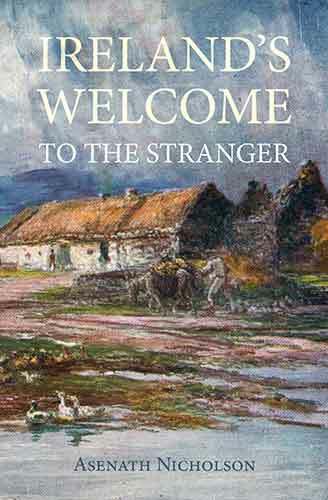 The Book of County Tipperary is the first of these to be made available on libraryireland.com, with its own search page. However, there are a few points to bear in mind. This online version is designed primarily as a genealogical research tool and therefore the numerous advertisements in the original book, many full page, and quite a few illustrated, have been excluded. The text has been proofed with due care, but with large bodies of text typographical errors are inevitably bound to occur. Be aware that there were often inconsistencies in spelling surnames in the 19th century and also that many forenames are abbreviated in Bassett’s directories. With respect to the last point, surnames which today begin with the “Mc” prefix, for example, were often formerly spelt as “M‘,”. For a list of some of the more common forename abbreviations used in the directory, see Forename Abbreviations. To enjoy the rich variety of advertisements, confirm accuracy of the entries, or have a printed record of a family member, obtain an original or facsimile copy of The Book of County Tipperary. Milestone is a rural post-office, in the barony of Kilnemanagh, upper, parish of Upperchurch, 14 miles, Irish, north by east from Tipperary, and 9 miles from Dundrum, the nearest railway station. The land of the district is good for pasture.